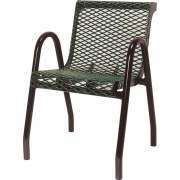 Choose Outdoor Benches & Chairs: Shop From Our Selection! 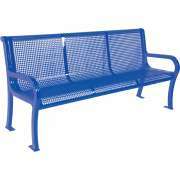 Create a welcoming atmosphere outside your workplace or school with outdoor benches and chairs from Hertz Furniture. Attractive seating can transform your playground or courtyard into an inviting space for supervising children or sitting down and taking in the fresh air. Outdoor chairs invite visitors, employees or management to sit down, take five and enjoy some sunshine. 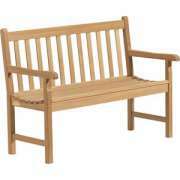 What is the best style for a park bench? Whether you prefer bright colors or a natural wood appeal, we have a selection of styles that will greatly enhance your space. Cozy seating will enable employees and students to sit back and relax outside so they can focus better when they go back inside. How can you make a building entrance attractive and inviting? When you are trying to leave a good impression, having an attractive building exterior is just as important as an appealing interior. An inviting courtyard entryway with outdoor seating will give potential clients a positive first impression even before they enter your offices. An attractive outdoor bench provides employees, visitors and colleagues with a place to take a break and socialize in a low-pressure atmosphere. When employees are calm and relaxed during breaks, it will be easier for them to concentrate and maintain a positive attitude as they work. Where should I put the park bench? 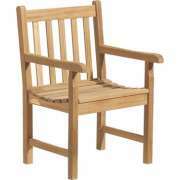 There are a number of places on the property of a school where park benches and outdoor chairs will fit in well. In an early-childhood setting or an elementary school, having benches next to the playground provides a comfortable place for teachers and caregivers to sit as they supervise children at recess. In a middle school or high school, outdoor seating encourages students to appreciate some fresh air and sunshine between classes. Having some benches at the entrance to the school is also great because it provides students with a place to sit and wait to be picked up. Park benches are the perfect venue for a heart to heart about bullying, test anxiety and other sensitive topics. 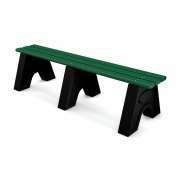 Outdoor benches can also fit well in athletic venues. 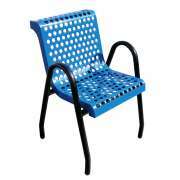 They can be placed on the sidelines of a soccer field, football field or track as a place for fans to sit. 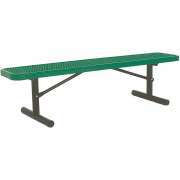 This is a great alternative to classic bleachers, especially if you only need a few seats. 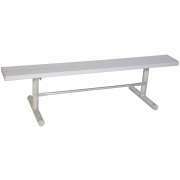 Team benches provide an appropriate place for student athletes to sit as they watch the game or plan plays during timeouts. 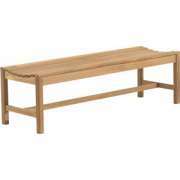 Should I get a metal or wooden bench? 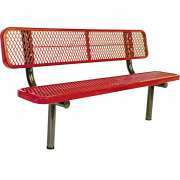 In order to bear the elements with grace and strength, park benches are either constructed from metal or wood. 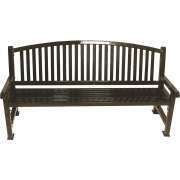 Wooden benches from Oxford Garden are constructed from Shorea wood which is highly resistant to rotting, wear and marring. 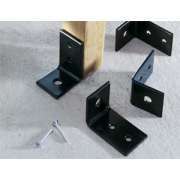 Metal benches from Ultra Play come in a selection of styles and are super low maintenance. Either of these options will provide years of enticing outdoor seating. The natural appeal of wood will add a lot to a courtyard or other outdoor area. If your building has a small garden or wooded area with flowers and plants, wooden benches will blend in with natural surroundings for a serene resting place. If you are ordering metal benches for a school or athletic field, you can choose from a selection of colors to coordinate with the team color scheme or playground equipment. 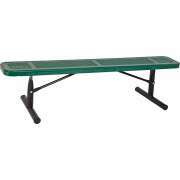 What&apos;s the difference between a team bench and a park bench? 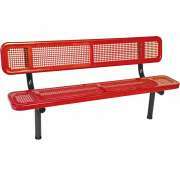 There are a few different styles of outdoor benches. 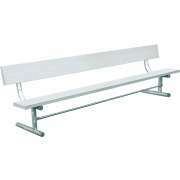 Team benches can be ordered with or without backrests. 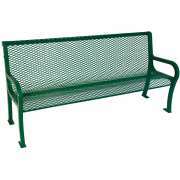 Park benches have both backrests and arm supports for long term comfort. Either of these options provides a great outdoor sitting space. While park benches are both attractive and functional, some prefer the personal space provided by outdoor chairs. If you want a space to look really classy, you can choose a mix of coordinated chairs and benches, or even choose some complementary colors to brighten up the space. No matter what you choose, a nice outdoor space where people can sit back and enjoy the weather will always be appreciated. Hertz Furniture&apos;s enticing selection of outdoor chairs and benches will contribute to the relaxed and supportive atmosphere of your institution. 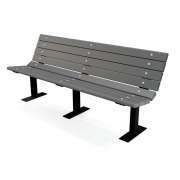 Whether you prefer metal or wood, team benches or park benches, we have a number of high-quality choices that will serve you well year after year. 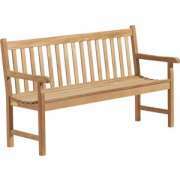 With great outdoor benches, you can transform any playground or courtyard into an enticing space.